- Sunday (before evening sets in). Let me know if any of those suits you, sir. If not, Friday next week is definately out and I won't know about the weekend until sometime next week. Time to sum up if the Norse inducement gamble payed off. A result of 1 win, 3 draws and 3 losses is better than expected considering the opposition. But how did the diverse inducement players do? Let’s check out the top 8 ranking of Norse Inducements. 8th place - The Biggest Disappointment – Helmut and his chainsaw. Such potential, so many disappointments. Helmut rarely stays on the field long enough to matter. Those 110k gold could definitely have been better used. 7th place - The Punchbags – Mercenary Lineman. Often used, feels good to put them on the LOS and in any other places that are not safe to be. However, cheap is not enough when more offensive power is needed. 6th place – The Dull Knife – Wilhelm Chaney. When you hire such a big name as Wilhelm, blood is expected, but he seemed more interested in running around looking handsome. But that high move plus wrestle and frenzy does make him a respectable sweeper. 5th place – Bang Bang Boomerang – Boomer. The tricky part about Boomer is finding the right opponent. Now he was only used against the wrong ones. Should definitely been into more matches, with his ability to cause random mayhem, to place higher up here. 4th place – The Big Guy – Morg ‘n’ Thorg. He is real money maker, for the stadium owner, for his team but mostly for himself. He sure is good, but that price tag is not good enough to bring him any higher in this table. 3rd place – Buffy the Vampire Slayer – Zara the Slayer. Zara does an incredible job while on the pitch but stabbing only works well against a small subset of opponents. Better to use her other abilities and she could be worth using more times. 2nd place – Man On a Mission – Mercenary Berserker. Specially hired with the tackle skill to handle agile opponents and proved to be overall good at it. Jumping Up makes him much more mobile than expected. Considering he is 70k cheaper than Wilhelm he makes a better sweeper. 1st place – Well Worth It – Mercenary Yhetee. This specially imported Yhetee with his combination of claws, mighty blow, frenzy and high strength can really cause problems for any opponent. He is the only player to earn the top score of 5 in the season. On the other hand, he is easily hurt and sometimes he just stands around roaring. 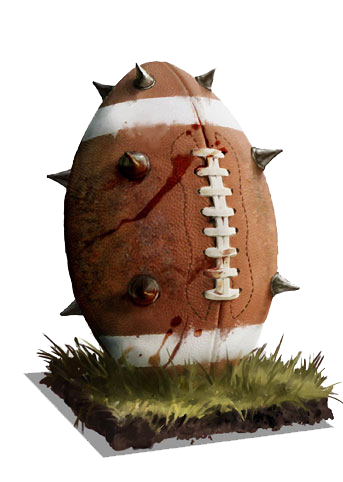 You never know what you will get, and that is the beauty of inducements in blood bowl. @Gnaarkill: Thanks for the game, it sure was even and exciting and it all came down to a failed GFI for me in first half and successful GFI for you in the second half. @All: This was a very experimental season for me. Fun to try out all the different inducements that the Norse can offer. In your opinion, what/who is the best inducements? Hope to see you all next season. First of all, thank you for taking the time to write a little something extra throughout the season, it is very much appreciated! I find it a bit surprising that the players you ranked in the top 2 slots were ordinary mercenaries with a particular set of skills instead of star players. But thinking back on my own inducement-heavy matches, I think it makes a lot of sense. You only pay for what you need in a particular situation. You get more skills per coin on a star player, but very often a lot of those skills are nothing you particularly need. That works for me. See you tomorrow at 19.00! Last game of the season was a fun match where neither side had particularly bad or good dice in general. The deciding factor was the Khemri side choosing rather unwisely to save their crap dice for some of the most pivotal moments in the match. Still, it was a relatively even affair and only the superior bouncing skills of the Kislev allowed them to take the victory in the end. Wooo, that was a nailbiter! Definitely some ups'n'downs in that game, and coming out of it before I saw the report, I thought for sure it was gonna show a nuffling of Saitani. The total numbers don't look like they added up to that on paper, but that -5.19 injury luck is very crucial to how the game played out. I took a lot of risks marking with my skinks, and although they got knocked right and center, they were never injured. If the field had been cleared of skinks due to injuries, as I really gambled they would not, the game would've looked very different. Thanks for the game Saitani, it was an exciting rollercoaster ride! WoW, three teams with 5-1-1 record. Who will miss the Final? Is it My Little Hashut due to worse TD difference? Or how is it calculated? Yup. First points, then TD difference, then number of TDs scored I think. After that, I don't know.